Our second day of our mini-moon in the Smokies was just as adventurous as our first… but in a different way. 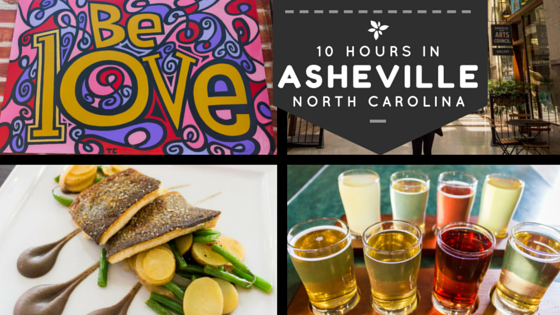 One of the parts of our mini-moon I was most looking forward to was Asheville. Everyone I’d talked to said that I would love it! It didn’t disappoint. I felt like Asheville was like a mini Portland, and we all know how much I loved the vibe of Portland back in November! This is a multi-part post of our mini-moon trip to the Smoky Mountains. For our first day at Smoky Mountain National Park, click here. For our last day exploring the Tallulah Gorge and North Carolina waterfalls, click here. Our first stop was the visitor’s center. I like going to the visitor’s center for my first visit to National Parks and cities because it’s nice to be able to talk to someone in person, and everyone has a different point of view on their city. Everyone was very nice and helpful. The kind lady told me that the downtown area has only 2 chain businesses (I know I saw Jimmy John’s…)! I think that is impressive, and I applaud their city for keeping it local. We only had a short time in Asheville, so we stuck with exploring downtown and trying new beers/ciders. After we finished at the Visitor’s Center, we parked in one of the parking garages that they suggested, and walked around downtown. I had heard that Asheville was a very “foodie city” before I arrived. Did you know that they have food tours of the city?! We quickly found Isa’s Bistro in Downtown Asheville. Man, what a fantastic lunch! 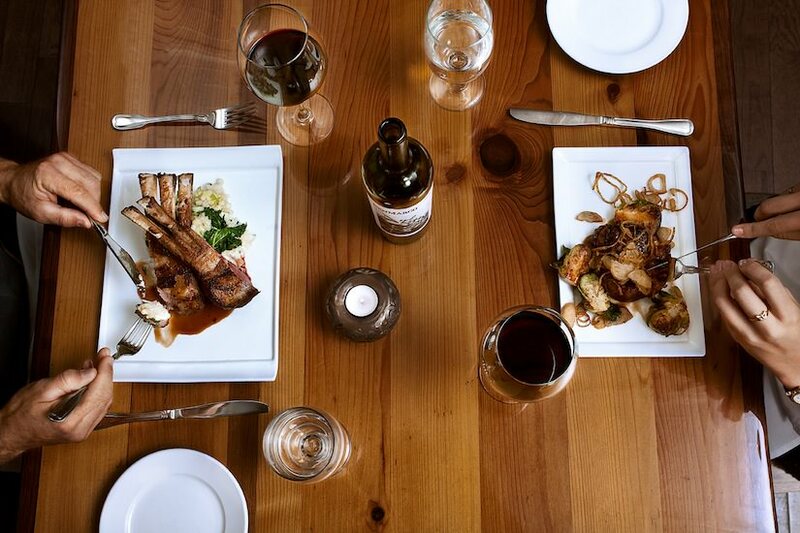 I was impressed with our first meal in Asheville. 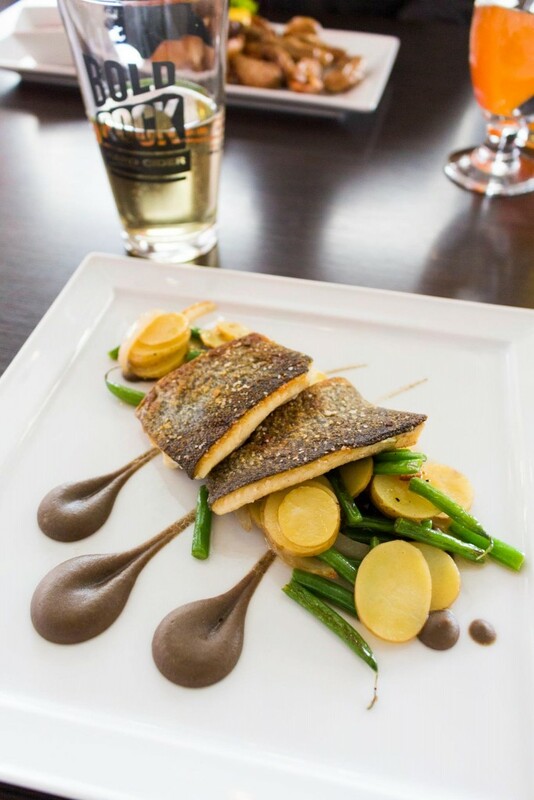 I ordered a Sunburst Farm Trout fingerling potato, benton’s bacon, haricot vert salad, lentil puree. It was priced well— cheaper than most of our disappointing meals elsewhere actually. Brighton ordered the burger (no surprise there!) We were both very happy with these lunch choices. 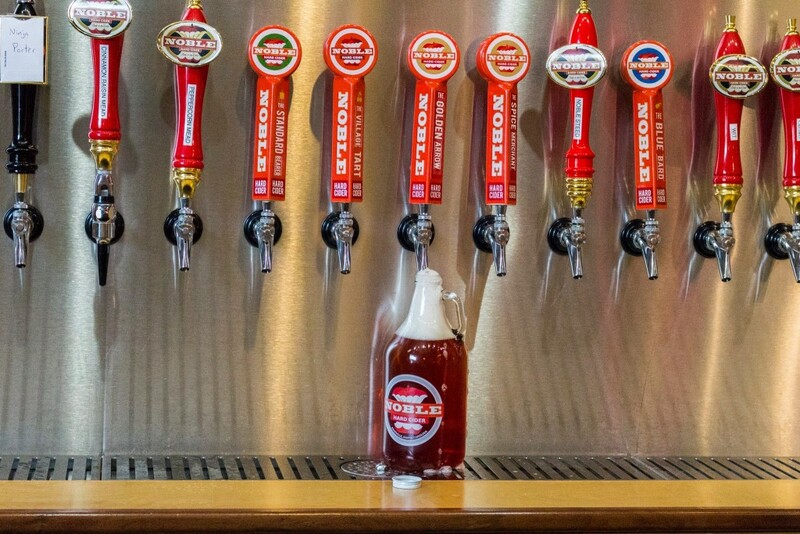 I tried one of the rotating ciders on draft and loved it. 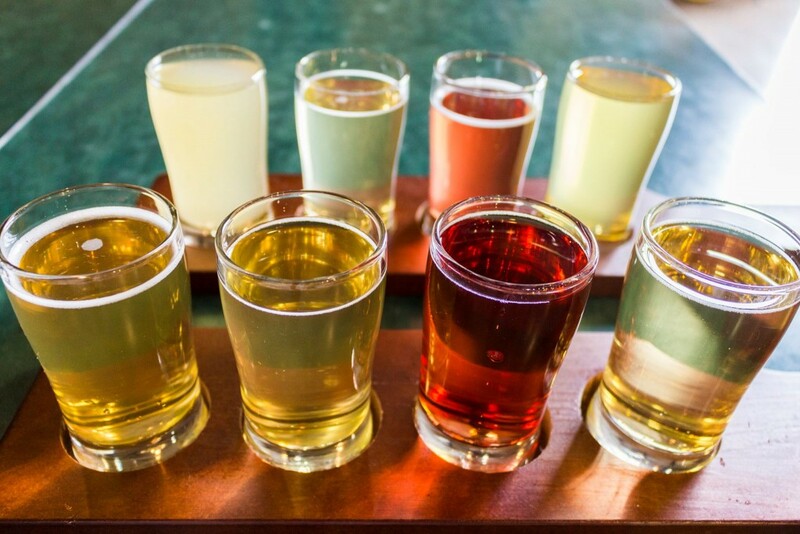 Our server also suggested that we should just explore downtown for the day and go to Noble Cider for a couple flights. It was nice not to have a specific plan for our adventure in Asheville. We walked around and stopped wherever caught our eye. 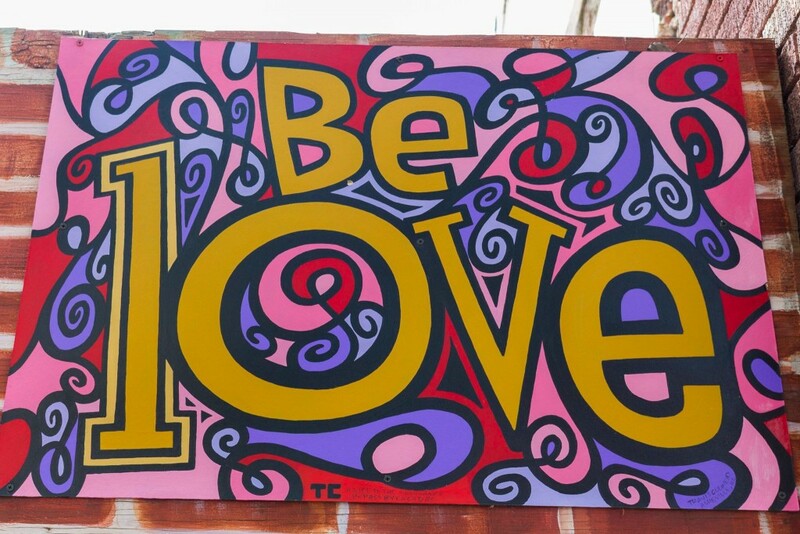 I loved the murals all around town. It continued with the artist motif throughout the downtown area. These were my two favorites. 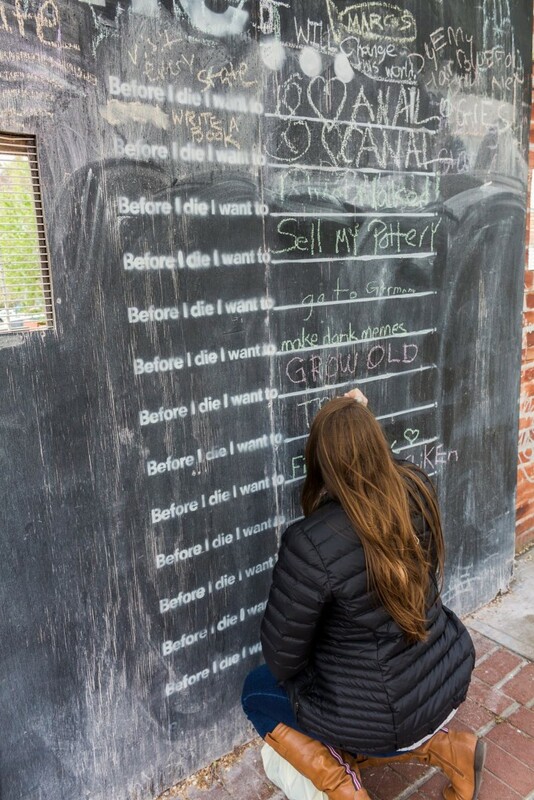 Community art: Before I die I want to…. 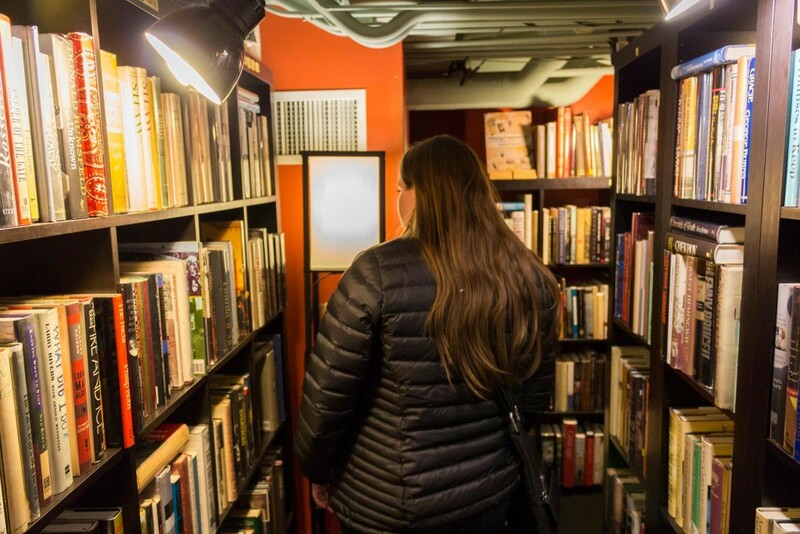 This bookstore went on forever….and ever! They tout themselves as “the marriage of two of earth’s finest pleasures, books and wine, side by side.” They had lots of fun, cozy places to sit and read a good book while sipping wine or champagne. The store is a little bit of a maze, continuing for two floors. 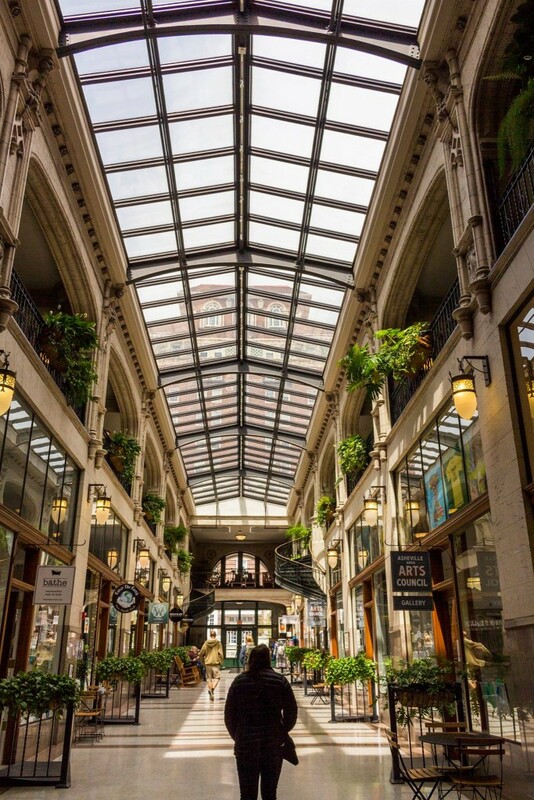 I loved the architecture of the Grove Arcade building. 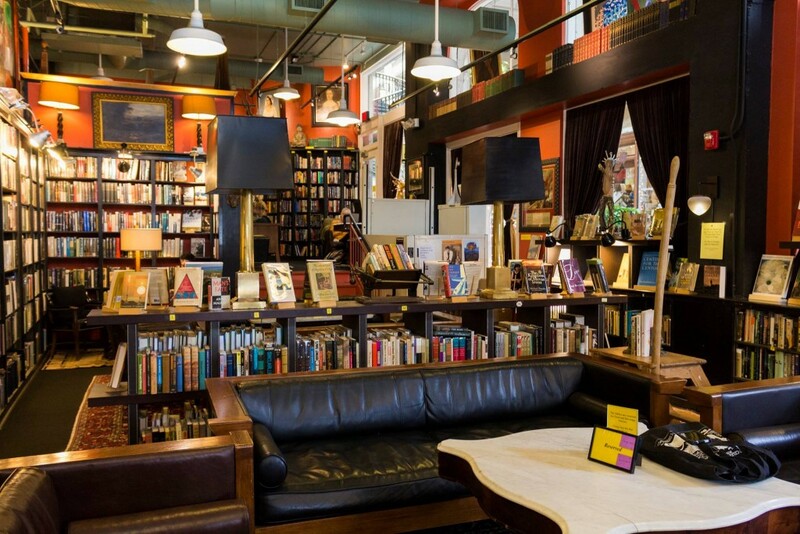 It’s currently the home to souvenir shops, coffee shops, the Battery Park Book Exchange, restaurants, and Asheville Area Arts Council to name a few. The building has had many past lives though. It was built as the dream of E.W. Grove, who as a self-made millionaire that moved to Asheville in 1910. He completed several projects around the city, but his dream was to build an elegant new building to create a more lively scene in the downtown area. His plan was to build “the most elegant building in America,” with the original plan including a 5-story base with a 14 story tower filled with shops, offices, and living spaces. Grove died two years before the building was finished. Only the base was completed at 269,000 square-feet. At the time, the building was by far, the largest building in the region. When the Arcade opened in 1929, it quickly became home to a fine collection of local shops and services. Tenants included candy and cigar stores, a haberdashery, a public stenography office, fruit stands, millinery shops, beauty parlors and barbershops, a photography center, bookstalls and specialty groceries. Offices filled the upper floors. For 13 years, the Arcade was the center of commercial and civic life in Western North Carolina. Unfortunately, the Arcade was closed during WWII because the Federal government considered it to have many qualifications–large, safe, remote location– needed in a war effort. After the war, still in the Federal government’s possession, it became the National Climatic Data Center. In the 1980s, the public began to demand the building back with it’s original intention as a downtown pillar. The Grove Arcade was placed on the National Register of Historical Places during this time as well. The Arcade remains as Western North Carolina’s largest commercial building, and it’s a great addition to the downtown Asheville area. 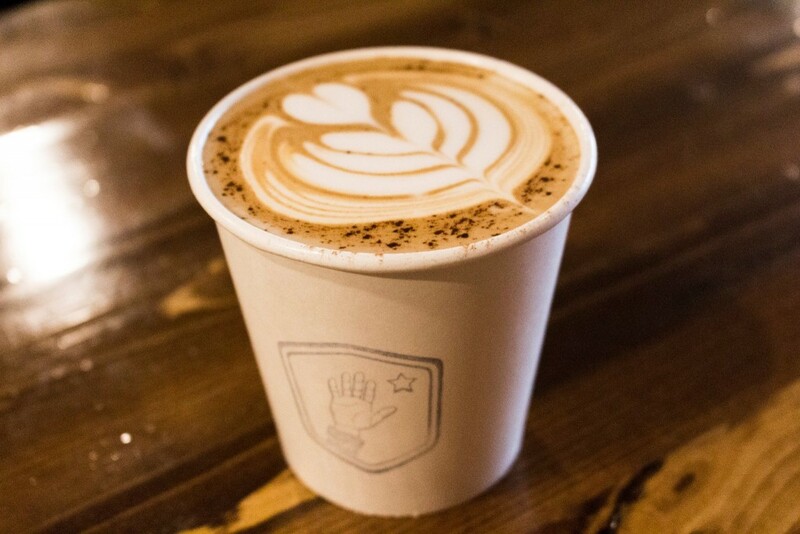 High Five Coffee was mentioned on a blog that I found prior to visiting, and I am always on the lookout for cute and cozy coffee shops wherever I go. It was compact and local– exactly what I was looking for. Plus, I am obsessed with latte art. 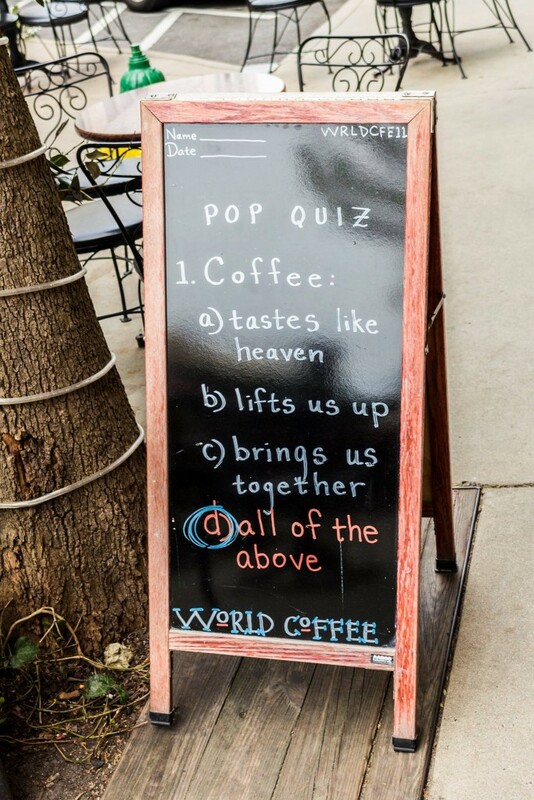 An amazing cup of coffee begins with a seed. High Five Coffee partners exclusively with Counter Culture when it comes to handling those seeds. We know that the planting, cultivation, harvest, farmers’ wages, transportation, storage and roasting of these seeds are at the center of this transparent and passionate group of professionals. Counter Culture Coffee is esteemed in the industry as a pioneer of sustainable farming methods, developers of direct trade standards and a relationally centered approach to business. Asheville has developed quite the pocket of breweries in downtown Asheville. 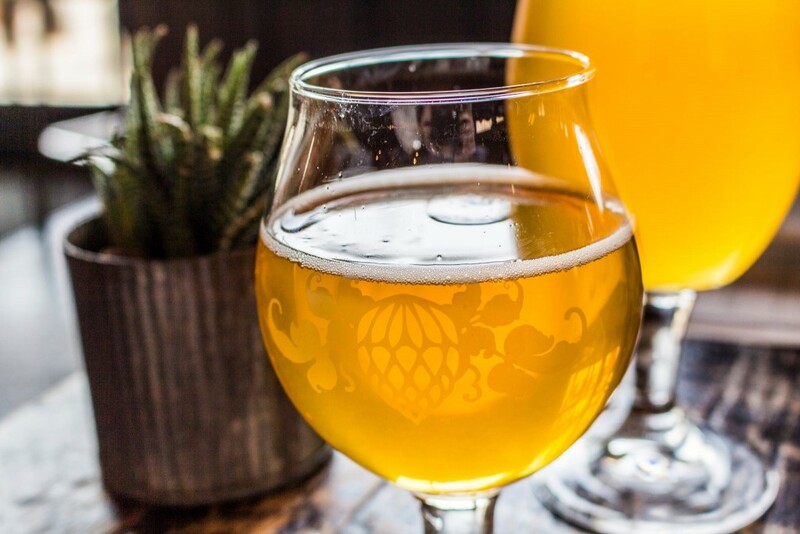 In fact, with more breweries per capita than anywhere else in the U.S., Asheville was first named Beer City USA in 2009! Nice. My sister recommended a visit to Wicked Weed while we were there. With a hip interior, I could certainly see this as a fun place to frequent. I tried the beef tartare. 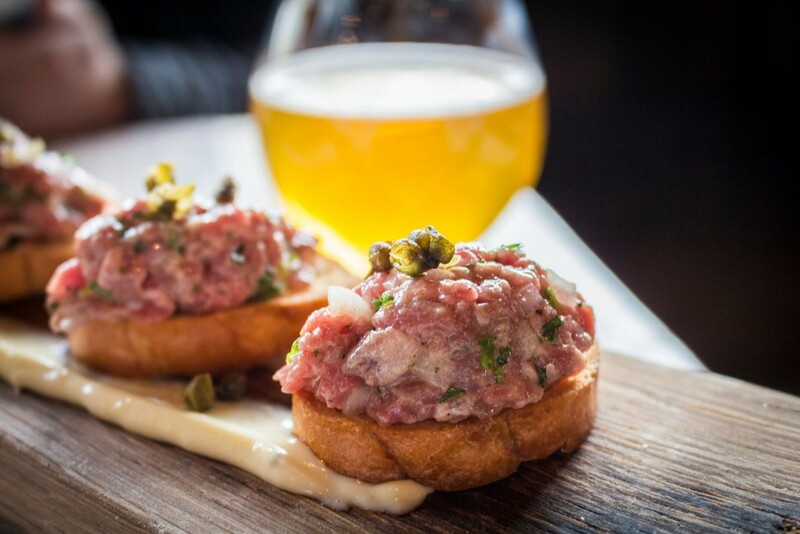 I had never tried beef tartare and I was feeling adventurous! It was very good. The bread was crispy, beef was seasoned well, and the salty capers tied the flavors in well. One of the many agriculture crops in North Carolina is apples. Noble Cider started with a smart question: “If Western North Carolina is NC’s apple country, where the heck are the commercial hard cideries?” And so it began. Noble Cider does not use any artifical colors, flavors or sweeteners often found in commercial brands. They boast the promise that they are “true to the core” by fermenting the juice from fresh pressed apples to make delicious and refreshing craft ciders. From tree to tap, we are involved in every step of the process. Noble Cider is True to the Core. We tried two flights together (8 total ciders tasted) which was all but one that they had on tap. Weirdly, our favorite was a cider that they had placed on tap as an experiment/test. To this day, we don’t know what it was called or where it came from. The bartender didn’t even know. She’s everything you’d expect. Sweet like a cherry and sharp as a tack, she puts a luster on the dullest mood. Tart montmorency cherries meld with tart apples for a delightful addition to any occasion. Just sweet enough. The inside of the warehouse/taproom was split between the brewing process and the bar area. They had a stage for live music, and then three “rooms” that reminded me of a dollhouse (cut on one side for looking in) with games in each one. 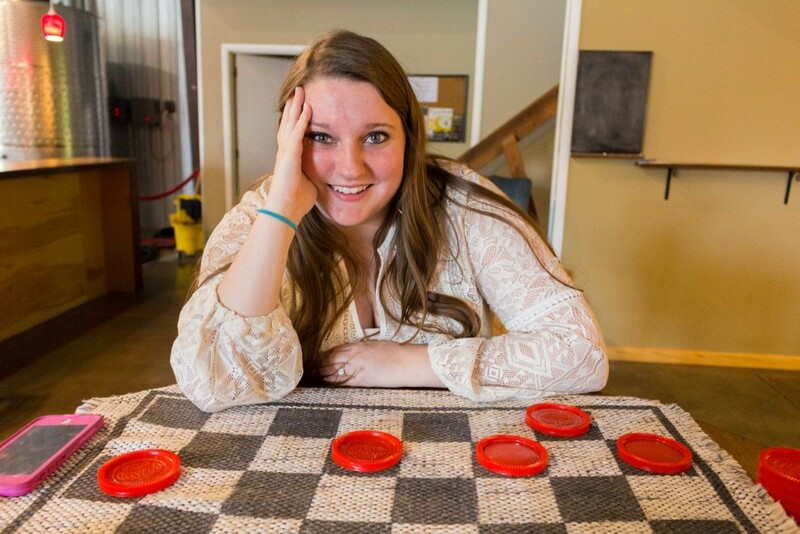 We ended up playing a game of Checkers, where Brighton killed me with his mad Checker skills! Our final stop in Asheville was for dinner. 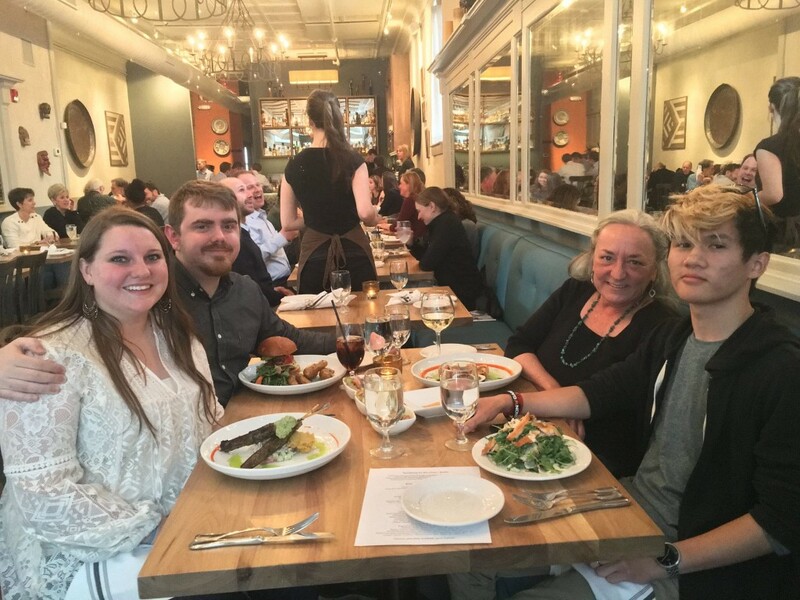 Our family friend, Carole, lives in Asheville and we were lucky enough to meet up with her and her son, Michael. I chose Limones Restaurant. For a Wednesday night, this place was booked solid! I called at 5:15pm, and the only options were 5:45pm and 9:30pm. I took the earlier option since we had to drive back to the house (1.5 hours away). 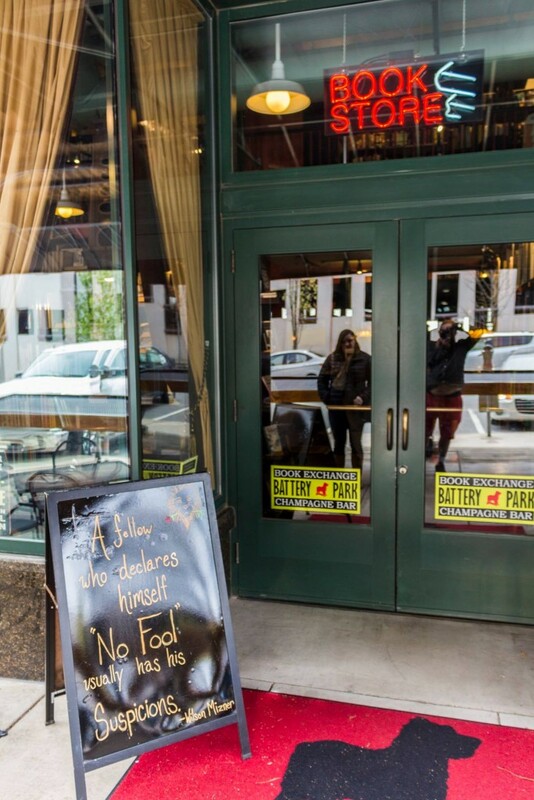 With 4.5 stars, this place is one of the highest rated restaurants on Yelp in Asheville. They specialize in Mexican/California cuisine. The ceviche sampler was delicious, and probably my favorite part of the whole meal. I was attempting to keep the cost down so I ended up ordering a “small plate” which was grilled chimichurri lamb tenderloin skewers with white bean hummus, cucumbers, pickled onions, ancho chile jam. I wasn’t as thrilled about this dish, but I believe I just ordered something out of my comfort zone and I didn’t love the flavor profile. I would go back and try a different dish next time! What a jam-packed visit! After dinner, we drove the hour and a half back to the house back in Franklin. We didn’t have time for the River Arts District but it’s definitely on our list for our next visit. I think that a visit during the summer months when everything is green and the culture is popping would be a great time to visit. Unfortunately for this visit, we stuck to indoor activities since the weather was extremely windy, cold, and somewhat rainy. 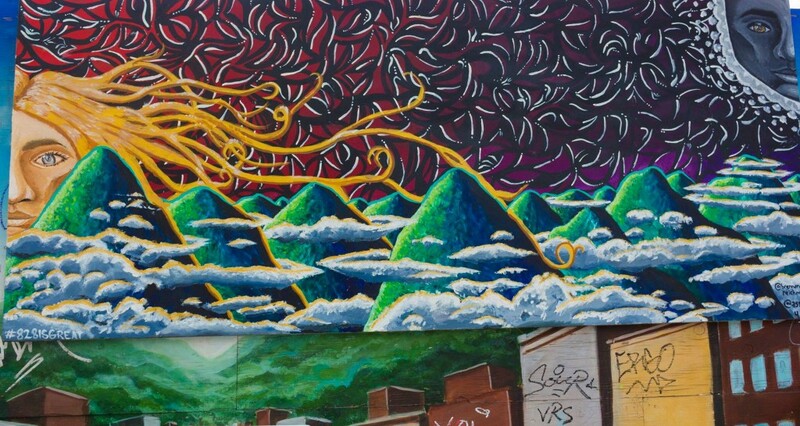 Have you ever wandered around downtown Asheville? What were your favorite stops? What should we see next time?